Numerous studies show that cognitive decline is common among people over 40 years of age. Whether it’s the inability to recall memories quickly and correctly, a lapse of judgment, or a struggle with critical thinking, this decline is often simply expected by those approaching a senior age. However, that doesn’t mean that you have to accept memory loss and other issues as you grow older. There are, in fact, a wide range of ways to fight against the mental aging process. You can take several different approaches when figuring out how to keep your brain sharp. Some of them are physical changes, some are mental exercises, and all of them are aimed at keeping your mind at the top of its game in the coming years. One of the leading causes of memory loss in aging individuals is the failure of the senses. The ability to interact with the world around you using your hearing and sight is imperative to keep your brain functioning at all levels. Therefore, the loss of one or both of these abilities over time seriously harms your ability to retain and recall information about what you experience throughout your everyday life. Each of these steps – particularly the use of hearing aids – have been shown to make a world of difference when it comes to enhancing and rebuilding failing senses. Considering the link between hearing and cognitive abilities, it stands to reason that these activities and tools also provide an excellent solution to the question of how to keep your brain healthy in later years. If you’ve been wondering how to use more of your brain on a daily basis, you might be surprised to find that the answer is simply to challenge your mind. Presenting your brain with challenges that you wouldn’t ordinarily have to think your way through keeps neurons firing and mental passageways open, making thinking, recalling, and planning easier over time. Jobs that challenge the brain, for instance, keep minds sharp even after an individual retires. This is likely because working in those jobs creates a habit of mental maneuvering that builds brain strength much in the way that a daily workout routine builds the body. Brains are used to retaining and using information on a day to day basis and continue to do so even after the job is done. Accessing memory-building tools is now easier than ever thanks to the internet and smartphones. There are a number of free apps anyone can use that implement modern, conventional approaches to help build critical thinking and memory abilities in people of all ages. Much like your eyes and ears have a physical impact on how well your memory functions, the health of other parts of your body are directly linked to your cognitive abilities. Issues such as high blood pressure and diabetes can impact the flow of blood to the brain, slowing down a number of different functions all at once. Exercising and keeping your physical body in shape is as effective for keeping your mind sharp as doing mental exercises every single day, and is crucial for keeping your brain in top form. Studies have shown that the right dose of daily exercise enhances global cognition, information retention and recall, processing speed, and overall executive function. The good thing about choosing an exercise routine is that you can make it as easy or as complex as you’re comfortable with. Each and every step you take counts, after all. Taking a midday stroll or stretching are excellent, easy ways to get a bit of exercise in when heavy workouts aren’t an option. 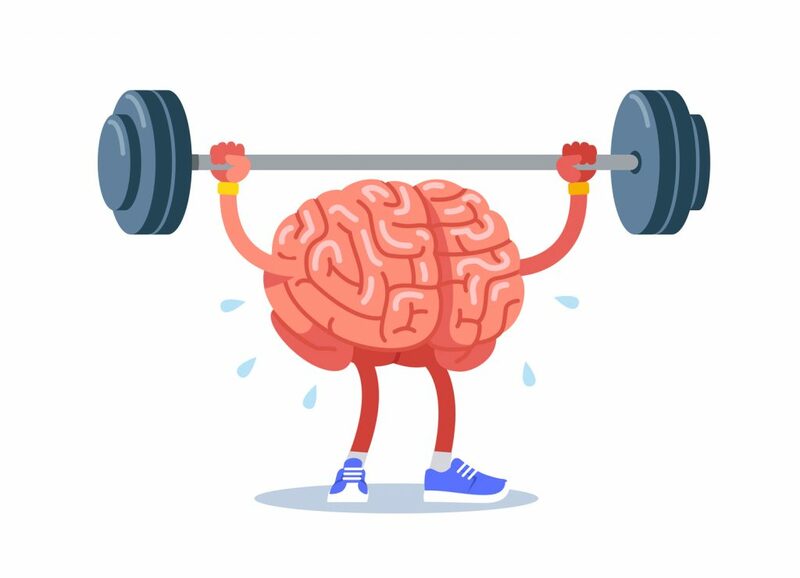 If you’re looking for something a bit more advanced, heading to a gym, using resistance weights, or even taking a tai chi class are excellent ways to keep your blood pumping and build that brain power alongside muscles. If you’re serious about keeping your brain in tip-top shape as you age, take the initiative to reach out to specialists for further recommendations. Contact Metro Hearing to take control of your hearing and get more information about how hearing loss can impact your cognition in the coming years for a great start at keeping your mind keen and ready for anything.